The screws B Fus have a blunt end secure its inclusion in the pedicle. They are self-tapping , double helix and have three grooves to facilitate rapid and effective integration into the pedicle. 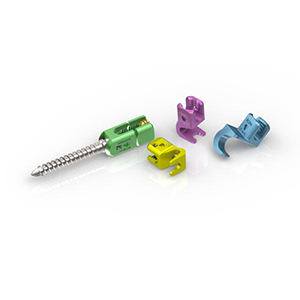 At a height of 13mm and a width of 11 mm, the B Fus screws are the ‘low profile ‘ in the market for better patient comfort. Their 52 ° polyaxial screws B Fus gives great adaptability . Finally screws B Fus have a core and a variable geometry thread specifically designed for a maximum mechanical strength under the screw head and an optimum anchoring in cancellous bone . 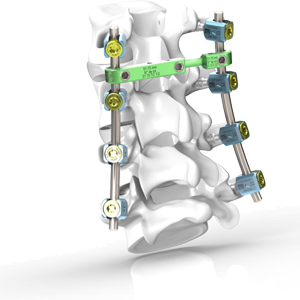 Instrumentation B Fus is indicated for all diseases of the lumbar spine requiring a spinal pedicle screw fastening . 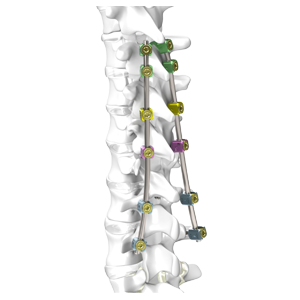 Its complementarity with the system B Dyn brings a unique and optimal solution for the treatment of all degenerative spinal pathologies.